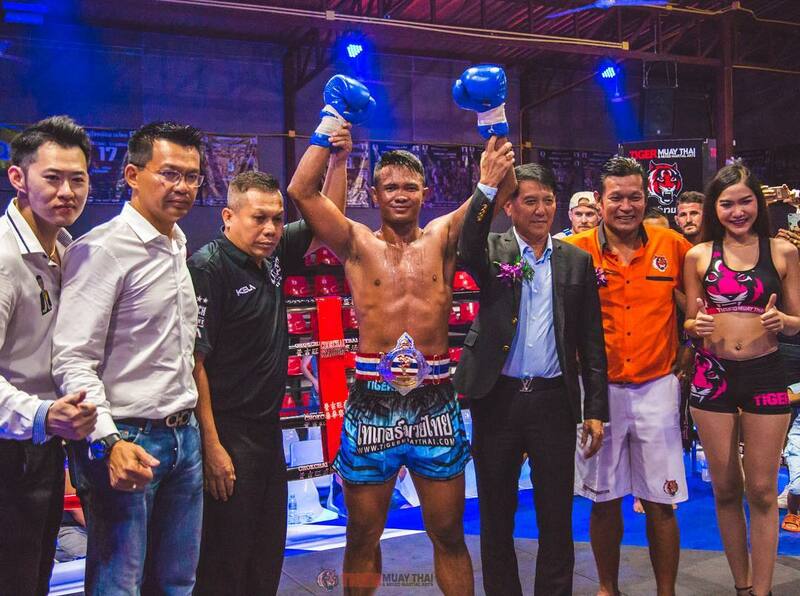 Tiger Muay Thai fighter Saksurin Kiatyongyut the new 160lb Thailand Champion! He beat Petsanguan Sor.Chansithi via 1st round TKO to claim the title last night in the main event of a big charity event to raise money for the new Chalong hospital. Congratulations Saksurin!